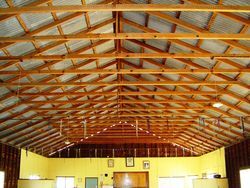 Ubobo Memorial Hall was erected to commemorate those who served in World War One. The hall which was officially opened on the 11th November 1928 was completely destroyed by fire in 1953 and a new hall was constructed. On Armistice Day the recently erected Memorial Hall was officially opened and handed over to the local branch of the Returned Soldiers' League. Alderman W. Ferris (Mayor of Gladstone) performed the opening ceremony. Mr. G. Carter, M.L.A., who represented the State Government, and Councillor A. McLaughlan (Calliope Shire Council) also spoke. Mr. R. J. Ramsay (president of the Ubobo branch, R.S.S.I.L.A.) formally accepted the hall on behalf of the league. The opening ceremony concluded with an impressive tableau in which the returned soldiers flanked the flag-decorated stage while "The Trumpeter" was sung by Mr. Farquharson. "The Last Post" was then sounded by Bugler White, followed by two minutes silence in memory of fallen comrades. The Brisbane Courier (Qld. ), 20 November 1928. On Christmas Eve, 1953, the Memorial hall at Ubobo, in the Boyne Valley. 45 miles from Gladstone, was completely destroyed by five. The loss was a severe one and early steps were made to have a new hall erected. The new structure is now completed and will be opened next Saturday by Mr J. Burrows, M.L.A. 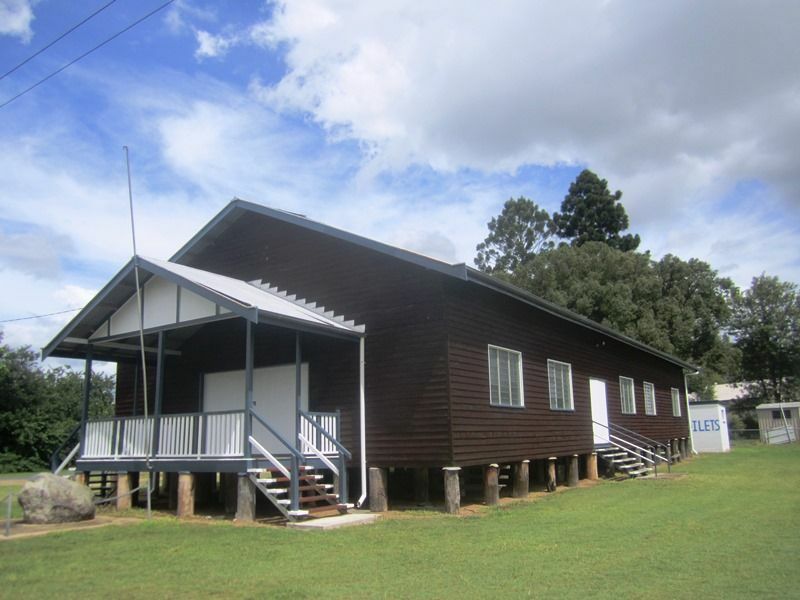 The new structure is constructed of weatherboard walls and iron roof with a special dancing floor. The building is erected on 3 ft. round posts which were obtained and planted by voluntary labour. The building was erected by Messrs M. A. Busteed and Sons, of Gladstone, and is overall 50 ft. by 120 ft. It will feature a first-class dance floor, and supper room and provision has been made for the showing of films. The cost of the building is over £3000. Residents of the Ubobo district, which incidentally was one of the successful soldier settlements after World War I, are to be congratulated on their initiative. The building is not free of debt, but with a sports meeting to be held on the day of the opening, plus contributions, it is expected that most of the money owing will be realised.